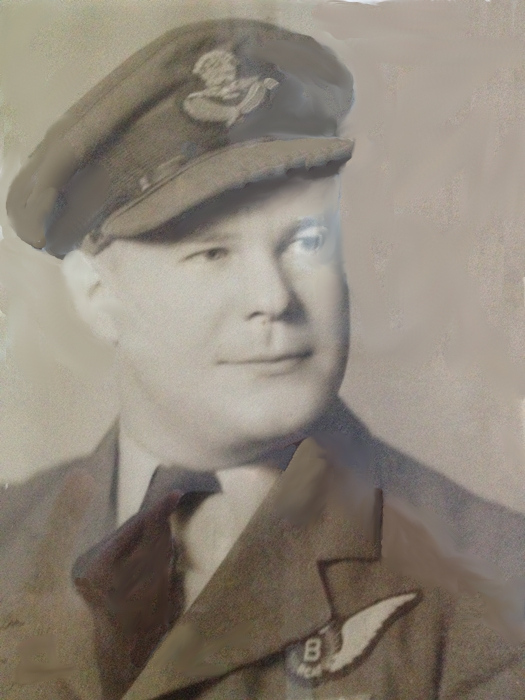 From his enlistment in Vancouver on May 19th of 1942, the twenty-one year old Victoria born Charles Christian the long journey from air crew volunteer to participating in operations over Europe would start at No. 7 ITS at Saskatoon. From the selection process carried out while at I.T.S., he was sent him to No. 2 Bombing and Gunnery School at Mossbank Saskatchewan. The training at No. 2 B&G school was followed up by training at No. 5 Air Observer School in Winnipeg. With this course completed by June 25th of 1943 and receiving his commission that same year. Once overseas he became Bomb Aimer on F/O William Chalcraft's crew. Most likely crewing up while at No. 23 OTU. 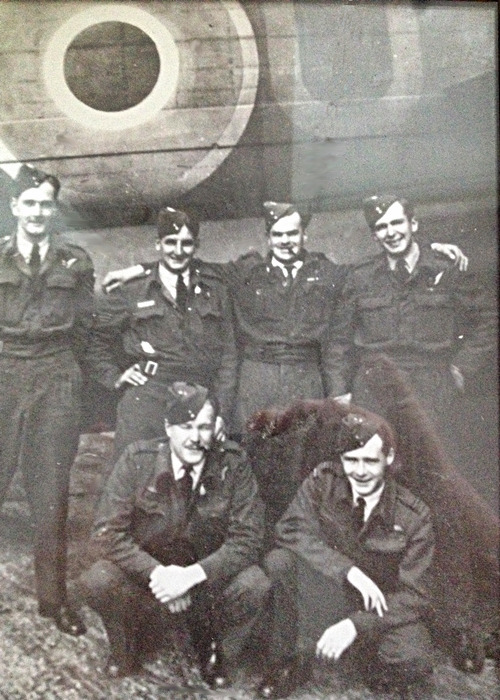 From there he along with the rest of the crew were posted to 419 squadron on May 4th. 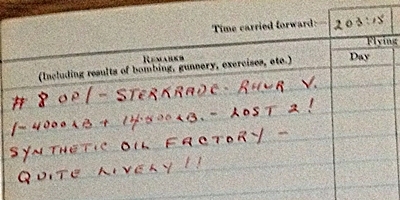 1944, coming from No.64 Base, possibly No.1664 C.U. Before taking off on their first operation together on the night of May 22/23 the crew flew the standard squadron cross country and training exercises, while waiting for F/O Chalcraft to complete his 2nd. Pilot operations. F/O Christian and all the crew had completed their first 10 operations by June 23/24, almost exactly a month from their first op. The original crew remained together for the first 8 operations, after that time and for all the remaining operations there were a series of different rear gunners, or Sgt. Annable would take the rear gunner position while a new gunner took the Mid-Upper position. In all eleven Air Gunners passed through the crew. no reason given and no listings in the causality lists. Only Sgt. Annable stayed with the crew through all the operations. From the first operation on May 22/23 right through to September 25th, Christian flew on 33 operations over France, Belgium and Germany. The crew was highly thought of and was highly decorated, F/O Chalcraft and F/O Taylor both received DFC awards and Sgt. Annable received the DFM. On January 6th of 1945 the DFC was announced in the London Gazette, originally recommended on 29 September 1944 when he had flown 33 sorties (159 hours five minutes), 22 May to 25 September 1944. This officer has now completed 32 sorties and, throughout, his courage and devotion to duty has been outstanding. Flying Officer Christian's consistent determination to achieve accuracy in his bombing, and his exceptional interest in familiarizing himself with every detail necessary for the success of his operations, have made him an invaluable member of his crew and squadron. On precision targets his bombing results have been quite remarkable and he has secured no fewer than 15 photographs plotted within 400 yards of the target. If circumstances demand it, he has made no fewer than three bombing runs to ensure steady and accurate bombing. When attacking heavily defended targets, he has never allowed enemy opposition to interfere with his bombing run and, under all circumstances, he has insisted on a steady and accurate approach. I consider the outstanding devotion to duty, the outstanding example and the complete disregard of personal danger shown by this officer fully merits the non-immediate award of the Distinguished Flying Cross. At 0152 hours on the morning of June 17th while on the return home to base, VR-T with F/O Christian and Chalcraft's original crew on board, rear gunner Sgt. Daigle sighted an aircraft 400 yards off their port quarter travelling over to the starboard quarter and seen against the light section of the night sky. The potential attacker identified as an Me110, made it's move on KB719 coming in from astern after turning back from it's starboard movement, to come up from below the Lancaster. Sgt. Daigle gave the order for combat manoeuvre, corkscrew to starboard. The manoeuvre seems to have thrown the night fighter off, it broke away 200 yards from VR-T going down the starboard quarter without opening fire. Daigle had managed a short burst at the attacker, with some of the tracer appearing to strike the Me110. After losing 1000 feet in the dive the Lancaster returned to course, as both gunners saw no additional night fighters in the area. The threat of other night fighters was strong as before this attack three separate fighter flare sets of three flares each had fallen on the track astern of the Lancaster. The red glow of the flares lit up the Lancaster for all the aircraft in the vicinity. No claims were made on the fighter. For F/O Christian DFC, the screening process would post him to "R" Depot, for Repatriation on November 3 of 1944. That same month saw F/O Chalcraft also posted to "R" Depot, F/O Taylor posted back to 64 Base for special Navigation Duties, Sgt. Gunn to No.1664 for instructional duties. No record of when the others were screened or reposted.